A huge and growing amount of Internet traffic flows to, from, and between cloud service providers, making the cloud a pivotal element in the delivery chain. Measure the speed and availability of digital services from the vantage point of the cloud. Test the performance and availability of an application from the first mile without concern for ISP or other network influences. Validate performance and reliability of your hybrid cloud solutions by localizing API performance issues from multiple cloud providers and locations. 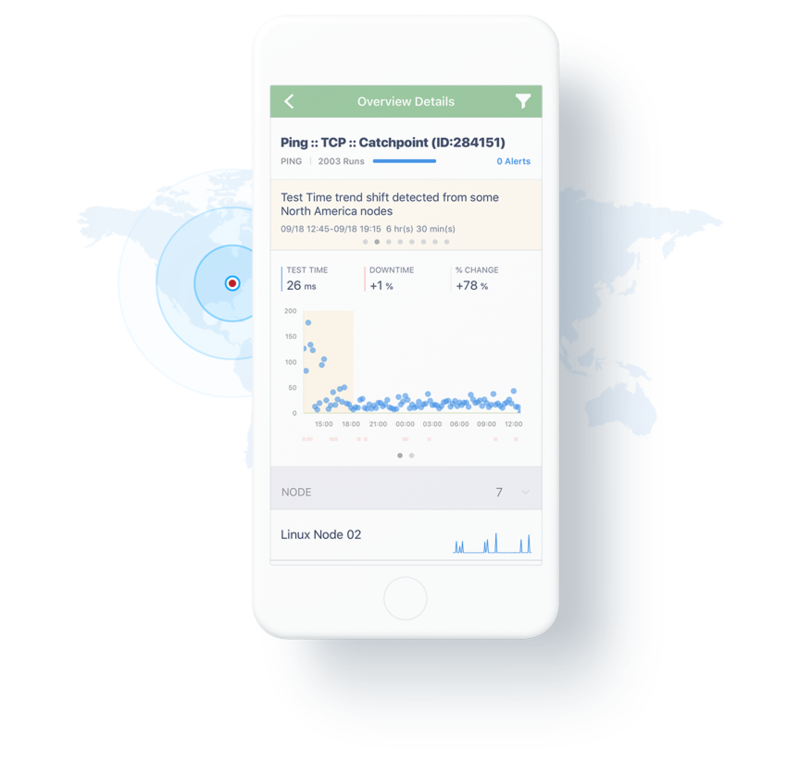 Test function and performance from where your services and applications live; whether you're moving development environments, adding disaster recovery, or deploying new applications to the cloud. Test from leading cloud providers including AWS, Azure, Google, and Tencent. 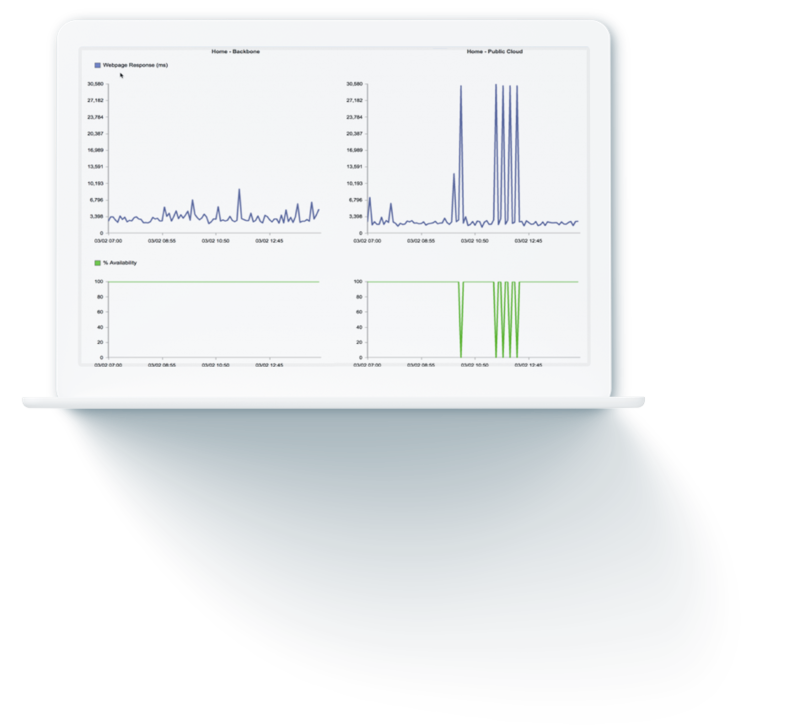 Correlate performance from backbone, broadband, enterprise, last mile, or wireless nodes to quickly identify the scope and severity of an incident. 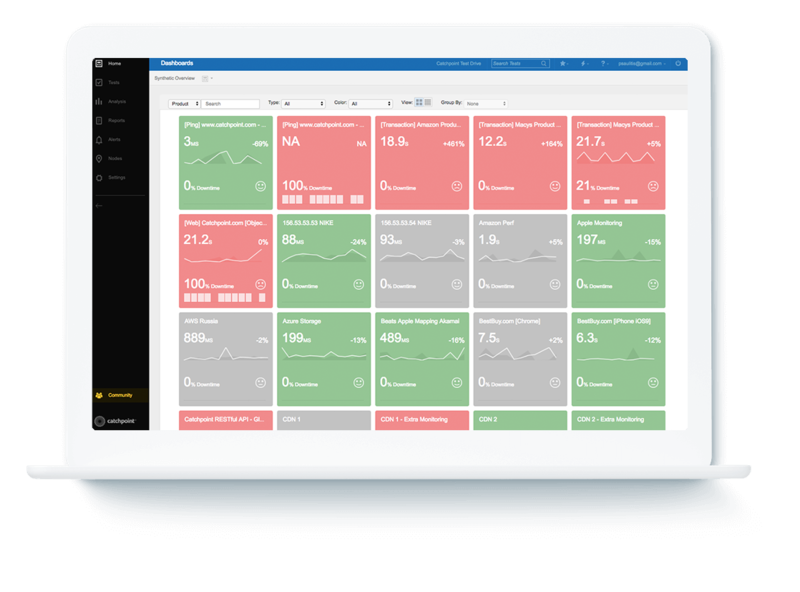 Validate that cloud providers meet SLAs with a neutral monitoring referee. Identify whether an issue with your hybrid infrastructure is related to a provider or the application. Monitor from between cloud providers or from the cloud to your co-lo. Test connectivity between your physical datacenter and your cloud services.